Biography*: Isaac II Angelos or Angelus, Isaakios II Angelos; September 1156 – January 1204) was Byzantine Emperor from 1185 to 1195, and again from 1203 to 1204. His father Andronikos Doukas Angelos was a military leader in Asia Minor (c. 1122 – aft. 1185) who married Euphrosyne Kastamonitissa (c. 1125 – aft. 1195). Andronikos Doukas Angelos was the son of Constantine Angelos and Theodora Komnene (b. 15 January 1096/1097), the youngest daughter of Emperor Alexios I Komnenos and Irene Doukaina. Thus Isaac was a member of the extended imperial clan of the Komnenoi. During the brief reign of Andronikos I Komnenos, Isaac was involved (alongside his father and brothers) in the revolt of Nicaea and Prousa. Atypically, the Emperor did not punish him for this disloyalty, and Isaac remained at Constantinople. On September 11, 1185, while Andronikos was absent from the capital, his lieutenant Stephen Hagiochristophorites moved to arrest Isaac. Isaac killed Hagiochristophorites and took refuge in the church of Hagia Sophia. Andronikos was a capable ruler in some ways but was hated for his cruelty and his efforts to keep the aristocracy obedient. Isaac appealed to the populace, and a tumult arose that spread rapidly over the whole city. When Andronikos returned he found that he had lost popular support, and that Isaac had been proclaimed emperor. Andronikos attempted to flee by boat but was apprehended. Isaac handed him over to the people of the City, and he was killed on 12 September 1185. 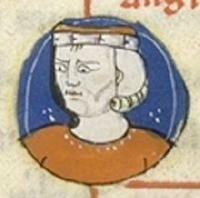 Isaac II Angelos strengthened his position as emperor with dynastic marriages in 1185 and 1186. His niece Eudokia Angelina was married to Stefan, son of Stefan Nemanja of Serbia. Isaac's sister Theodora was married to the Italian marquis Conrad of Montferrat. In January 1186 Isaac himself married Margaret of Hungary (renamed Maria), daughter of King Béla III. Hungary was one of the Empire's largest and most powerful neighbours, and Margaret also had the benefit of high aristocratic descent, being related to the royal families of Kiev, the Holy Roman Empire, Italy, Provence, and earlier Byzantine dynasties. Isaac inaugurated his reign with a decisive victory over the Norman King of Sicily, William II, at the Battle of Demetritzes on 7 November 1185. William had invaded the Balkans with 80,000 men and 200 ships towards the end of Andronikos I's reign. Elsewhere Isaac's policy was less successful. In late 1185, he sent a fleet of 80 galleys to liberate his brother Alexius III from Acre, but the fleet was destroyed by the Normans of Sicily. He then sent a fleet of 70 ships, but it failed to recover Cyprus from the rebellious noble Isaac Komnenos, thanks to Norman interference. The oppressiveness of his taxes, increased to pay his armies and finance his marriage, resulted in a Vlach-Bulgarian uprising late in 1185. The rebellion led to the establishment of the Second Bulgarian Empire under the Asen dynasty. In 1187 Alexios Branas, the victor over the Normans, was sent against the Bulgarians but turned his arms against his master and attempted to seize Constantinople, only to be defeated and slain by Isaac's brother-in-law Conrad of Montferrat. Also in 1187 an agreement was made with Venice, in which the Venetian Republic would provide between 40 and 100 galleys at six months' notice in exchange for favorable trading concessions. Because each Venetian galley was manned by 140 oarsmen, there were about 18,000 Venetians still in the Empire even after Manuel I's arrests. The Emperor's attention was next demanded in the east, where several claimants to the throne successively rose and fell. In 1189 the Holy Roman Emperor Frederick I Barbarossa sought and obtained permission to lead his troops on the Third Crusade through the Byzantine Empire. He had no sooner crossed the border than Isaac, who had meanwhile sought an alliance with Saladin, threw every impediment in his way. In retaliation Barbarossa's army occupied the city of Philippopolis and defeated a Byzantine army of 3,000 men that attempted to recapture the city. Thus compelled by force of arms, Isaac II was forced to fulfill his engagements in 1190. By 1196 Isaac II had allowed the once powerful Byzantine navy to decline to only 30 galleys. The next five years were disturbed by continued warfare with Bulgaria, against which Isaac led several expeditions in person. In spite of their promising start these ventures had little effect, and on one occasion in 1190 Isaac barely escaped with his life. The Byzantines suffered yet another major defeat in the battle of Arcadiopolis in 1194. While preparing for yet another offensive against Bulgaria in 1195, Alexios Angelos, the Emperor's older brother, taking advantage of Isaac's absence from camp on a hunting expedition, proclaimed himself emperor and was readily recognised by the soldiers as Emperor Alexios III. Isaac was blinded and imprisoned in Constantinople. Heavily beholden to the crusaders, Alexios IV was unable to meet his obligations and his vacillation caused him to lose the support of both his crusader allies and his subjects. At the end of January 1204 the influential court official Alexios Doukas Mourtzouphlos took advantage of riots in the capital to imprison Alexios IV and seize the throne as Emperor Alexios V. At this point Isaac II died, allegedly of shock, while Alexios IV was strangled on 28 or 29 January. Basil Chotzas – initiated a rebellion at Tarsia, near Nicomedia. Initially he had some success, but before long he was seized, blinded, and cast into prison. Isaac Comnenus (nephew of Andronicus I Comnenus) – escaped from prison and fled to Hagia Sophia, where he proceeded to incite a mob. Eventually captured, he was suspended in the air and tortured in order to obtain the names of his accomplices. His internal organs suffered severe damage and he died the next day. Constantine Tatikios – secretly established a group of 500 individuals who hid in Constantinople. Though they managed to escape detection for some considerable time, he was informed against, captured, and blinded. Isaac has the reputation as one of the most unsuccessful princes to occupy the Byzantine throne. Surrounded by a crowd of slaves, mistresses, and flatterers, he permitted his empire to be administered by unworthy favourites, while he squandered the money wrung from his provinces on costly buildings and expensive gifts to the churches of his metropolis. During his reign the Empire lost Lefkada, Kefallonia, and Zakynthos to the Normans in 1185. In the same year the Bulgarian Empire was restored after the rebellion of the brothers Asen and Peter, thus losing Moesia and parts of Thrace and Macedonia. After that Cilicia was retaken by the Armenians, and Cyprus wrested from the empire by the Franks. Euphrosyne Angelina, married to Roman the Great. Irene Angelina, married first to Roger III of Sicily and secondly to Philip of Swabia. Biography*: Theobald the Great (French: Thibaut de Blois) (1090–1152) was Count of Blois and of Chartres as Theobald IV from 1102 and was Count of Champagne and of Brie as Theobald II from 1125. He held Auxerre, Maligny, Ervy, Troyes, and Châteauvillain as fiefs from Odo II, Duke of Burgundy. He was the son of Stephen II, Count of Blois, and Adela of Normandy, and the elder brother of King Stephen of England. Although he was the second son, Theobald was appointed above his older brother William. Several historians have painted William as mentally deficient, but this has never been substantiated. However, we know that his mother found him stubbornly resistant to control and unfit for wide ranging comital duties. Theobald had no such problems. Theobald accompanied his mother throughout their realm on hundreds of occasions and, after her retirement to Marcigney in 1125, he administered the family properties with great skill. Adela died in her beloved convent in 1136, the year after her son Stephen was crowned king of England. King Louis VII of France became involved in a war with Theobald by permitting Count Raoul I of Vermandois and seneschal of France, to repudiate his wife Eleanor, Theobald's sister, and to marry Petronilla of Aquitaine, sister of the queen of France. The war, which lasted two years (1142–1144), was marked by the occupation of Champagne by the royal army and the capture of Vitry-le-François, where many persons perished in the deliberate burning of the church by Louis. The scholastic Pierre Abélard, famous for his love affair with and subsequent marriage to his student Héloïse, sought asylum in Champagne during Theobald II's reign. Abelard died at Cluny Abbey in Burgundy, a monastery supported by the Thebaudians for many centuries. In 1123 he married Matilda of Carinthia, daughter of Engelbert, Duke of Carinthia. Marie of Champagne, married Eudes II, Duke of Burgundy, became Abbess of Fontevrault later in life. Agnes of Champagne (d. 1207), Dame de Ligny married Renaut II of Bar (d. 1170). [S746] Wikipedia, online http://Wikipedia.com, https://en.wikipedia.org/wiki/Theobald_II,_Count_of_Champagne. [S746] Wikipedia, online http://Wikipedia.com, https://en.wikipedia.org/wiki/Stephen,_Count_of_Blois. Biography*: Matilda of Carinthia or Mathilde of Sponheim (died 13 December 1160 or 1161) was the daughter of Engelbert, Duke of Carinthia and his wife Uta of Passau. She married Theobald II, Count of Champagne in 1123. She was the mother of Adèle of Champagne, Queen of France and thus the maternal grandmother of Philip II of France. Biography*: Stephen II Henry (in French, Étienne Henri, in Medieval French, Estienne Henri; c.?1045 – 19 May 1102), Count of Blois and Count of Chartres, was the son of Theobald III, count of Blois, and Garsinde du Maine. He is numbered Stephen II after Stephen I, Count of Troyes. 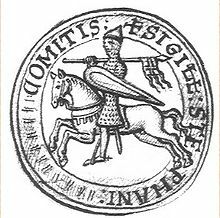 In 1089, upon the death of his father, he became the Count of Blois and Chartres, although Theobald had given him the administration of those holdings in 1074. He was the father of Stephen of England. Count Stephen was one of the leaders of the First Crusade, leading one of the major armies of the Princes and often writing enthusiastic letters to his wife Adela of Normandy about the crusade's progress. Stephen was the head of the army council at the Crusaders' siege of Nicaea in 1097. He returned home in 1098 during the lengthy siege of Antioch, fleeing the battlefield, without having fulfilled his crusading vow to forge a way to Jerusalem. He was pressured by Adela into making a second pilgrimage, and joined the minor crusade of 1101 in the company of others who had also returned home prematurely. In 1102, Stephen was killed at the Second Battle of Ramla at the age of fifty-seven. Eleanor (d. 1147) married Raoul I of Vermandois (d. 1152) and had issue; they were divorced in 1142. Biography*: Adela of Normandy, of Blois, or of England (c. 1067 – 8 March 1137), also known as Saint Adela in Roman Catholicism, was, by marriage, Countess of Blois, Chartres, and Meaux. She was a daughter of William the Conqueror and Matilda of Flanders. She was also the mother of Stephen, King of England and Henry of Blois, Bishop of Winchester. Her birthdate is generally believed to be between 1066 and 1070, after her father's accession to the English throne in 1066. She was the favourite sister of King Henry I of England; they were probably the youngest of the Conqueror's children. Adela was a high-spirited and educated woman, with a knowledge of Latin. She married Stephen Henry, son and heir to the count of Blois, between 1080 and 1083, around her fifteenth birthday. Stephen was nearly twenty years her senior. Stephen inherited Blois, Chartres and Meaux upon his father's death in 1089, as well as lands and right in parts of Berry and Burgundy. Stephen-Henry joined the First Crusade in 1096, along with his brother-in-law Robert Curthose. Stephen's letters to Adela form a uniquely intimate insight into the experiences of the Crusade's leaders and show that he trusted Adela to rule as regent while he was on crusade. The Count of Blois returned to France in 1100 bringing with him several cartloads of maps, jewels and other treasures, which he deposited at Chartres. He was, however, under an obligation to the pope for agreements made years earlier and returned to Antioch to participate in the crusade of 1101. He was ultimately killed in an ill-advised charge at the Battle of Ramla in 1102. Some of the daughters may have been step-daughters of Adela, rather than biological children. It is known that Adela had five biological sons and may have had three or more daughters, though not all of the daughters were necessarily Adela's biological children. The daughters are not mentioned by name during their youth, only appearing when they reach marriageable age and play an important part in building alliances. Adela, a devout Benedictine sympathizer, employed several high-ranking tutors to educate her children. Her youngest son, Henry, was conceived during the single year Stephen was in France between crusading duties. At two years of age Henry was pledged to the Church at Cluny Abbey, Saône-et-Loire, France, as an oblate child, that is, he was dedicated to the service of God, according to medieval practice. Henry went on to be appointed Abbot of Glastonbury and Bishop of Winchester. In that capacity he sponsored hundreds of constructions including bridges, canals, palaces, forts, castles and whole villages. In addition, Bishop Henry built dozens of abbeys and chapels and sponsored books including the treasured Winchester Bible. Adela quarrelled with her eldest son William and despite his previously being named heir-designate, she appointed his younger brother Theobald to replace him as heir in 1107. Her son Stephen moved to London in 1111 to join his uncle's court and became the favorite of his uncle King Henry I (Beauclerc). Upon Beauclerc's death in Normandy (1135), Stephen of Blois seized the English throne. 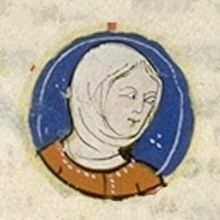 Adela filled in as regent for her husband's duties during his extended absence as a leader of the First Crusade (1095–1098) as well as during his second expedition in 1101. This included granting monks the right to build new churches, as well as other charters. Adela also worked with Ivo of Chartres at various points, exchanging letters throughout her regency, to discuss matters such as the control of misbehaving nuns and larger issues such as disputes about sworn oaths. While her husband was away, Adela would continue to tour their lands, settling disputes, promoting economic growth, and even commanding knights to go to battle with the king. In 1105, after St Anselm visited her during a sickness, she was responsible for communicating the archbishop's earnestness in threatening excommunication to her brother Henry I. Orderic Vitalis praises her as a "wise and spirited woman" who ably governed her husband's estates and her own. Adela retired to Marcigny Convent in 1120. Though she may have considered retiring to an abbey in Normandy, where members of her family, including sisters and nieces may have already been living; Adela was drawn to and chose the larger, more prestigious convent at Marcigny near her son Henry at Cluny Abbey. Adela may have acted as prioress within the community at Marcigny, though this is not certain. She continued to interact with her children and the ecclesiastical leaders of lands that she had once ruled, communicating with them and maintaining her influence over the area. In one instance, Adela sent letters to both her son Thibaud and Geoffrey, bishop of Chartres reminding them of her settlement of a monastic case. Later that same year, her daughter Lucia-Mahaut, was drowned in the wreck of the White Ship alongside her husband. Adela lived long enough to see her son Stephen on the English throne, though any response she had to this development has been lost. She likely took pride in the ascension of her youngest child, Henry of Blois, to the bishopric of Winchester in 1129. She died in 1137 at Marcigny. After her death, prayers were offered at a number of churches that she had endowed personally or had recognized at some point during her life. [S1079] 1901 Federal Canadian Census, on-line, Original data: Library and Archives Canada. Census of Canada, 1901. Ottawa, Ontario, Canada: Library and Archives Canada, 2004. http://www.bac-lac.gc.ca/eng/census/1901/Pages/…. Series RG31-C-1. Statistics Canada Fonds. Microfilm reels: T.
[S1083] 1911 Federal Canadian Census, on-line, Original data: Library and Archives Canada. Census of Canada, 1911. Ottawa, Ontario, Canada: Library and Archives Canada, 2007. http://www.bac-lac.gc.ca/eng/census/1911/Pages/…. Series RG31-C-1. Statistics Canada Fonds. Microfilm reels T-2. [S1084] 1921 Federal Canadian Census, on-line, Original data: Library and Archives Canada. Sixth Census of Canada, 1921. Ottawa, Ontario, Canada: Library and Archives Canada, 2013. Series RG31. Statistics Canada Fonds.sus.aspx. Series RG31-C-1. Statistics Canada Fonds. Microfilm reels T-2. [S1103] Ancestry.com, NS Vital R. - Deaths, MacLellan # 2452, Year 1935, Book 147, page 801. [S1104] 1871 Canada Federal Census, on-line. [S1117] 1891 Canada Federal Census, on-line. [S1119] 1901 Canada Federal Census, on-line. [S1120] 1871 Canada Federal Census, on-line. [S1121] 1881 Canada Federal Census, on-line. [S1123] 1891 Canada Federal Census, on-line. [S1124] 1901 Canada Federal Census, on-line. [S1125] 1911 Canada Federal Census, on-line.